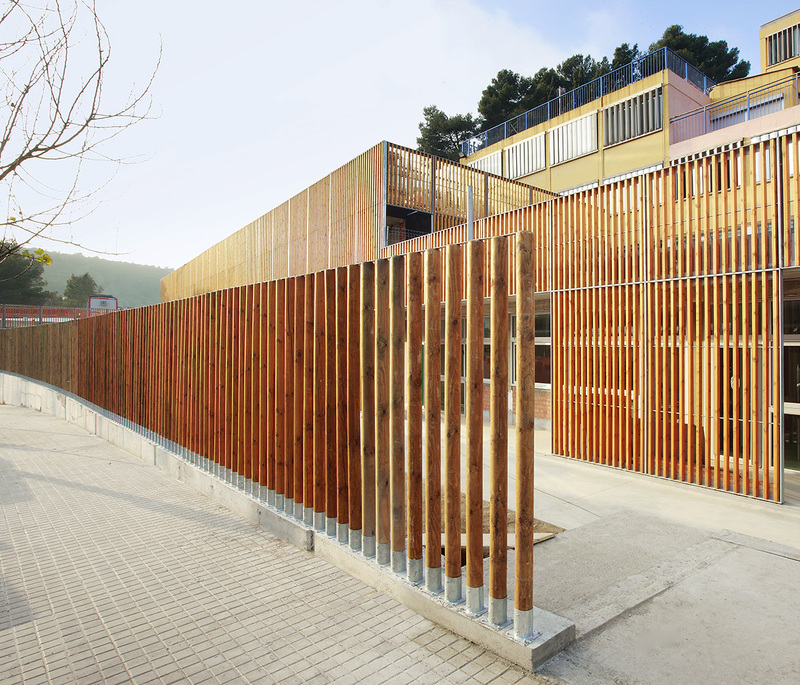 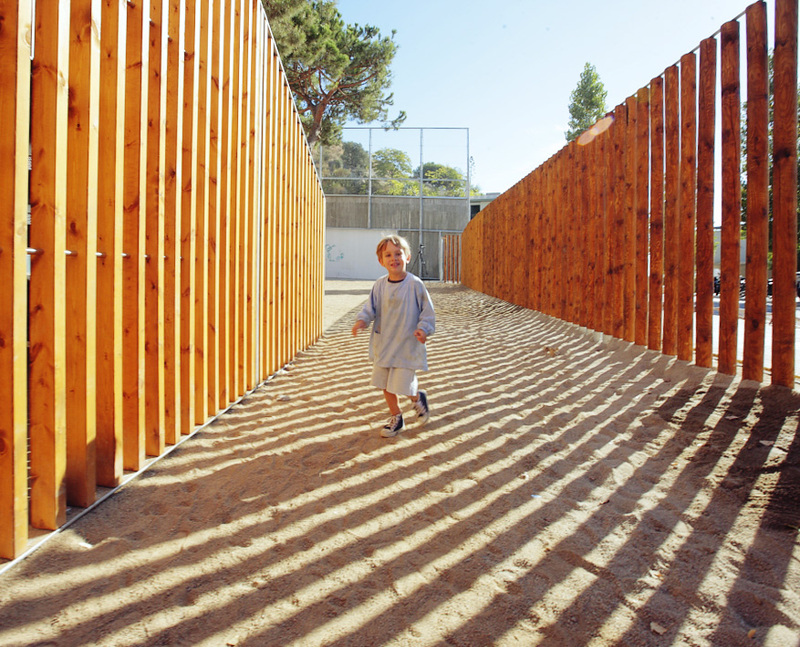 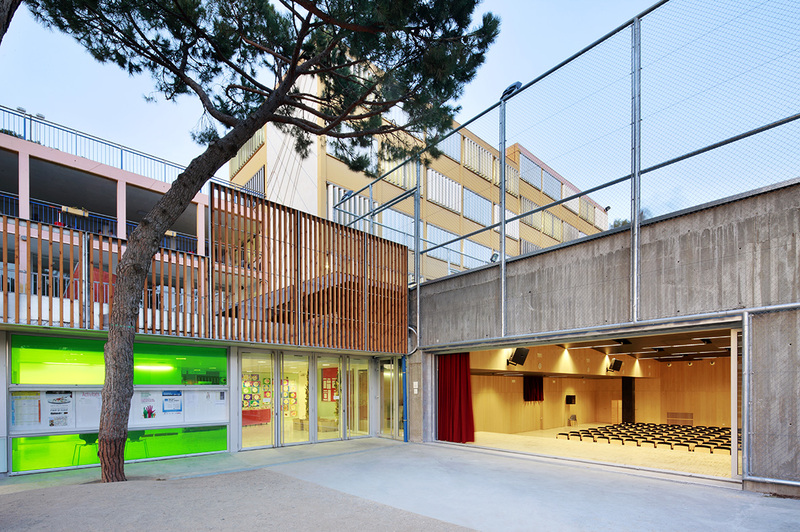 The intervention was to appear minimal, more an operation to occupy hollow space, to empty and fill it again, replacing the deteriorated terrace, creating multi-use spaces, and using the roof as a play area that separates the children by age. 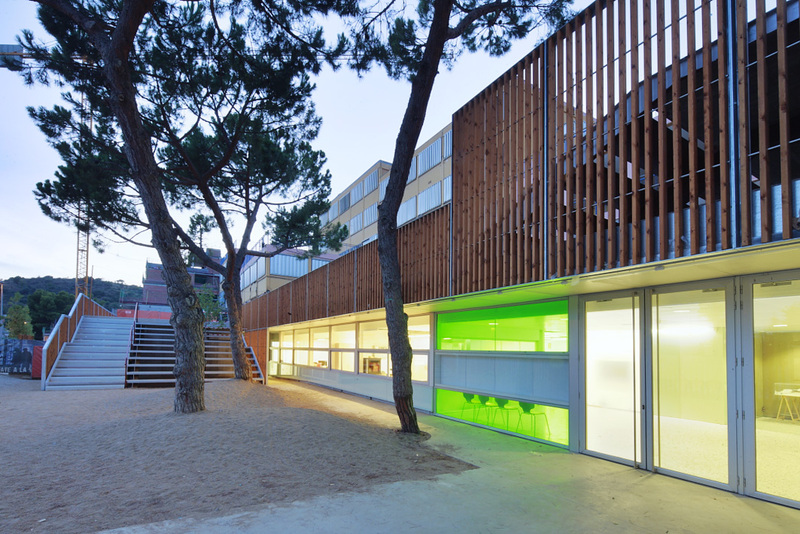 The school has a natural exterior reception area with three pine trees that we intended to preserve and emphasize. 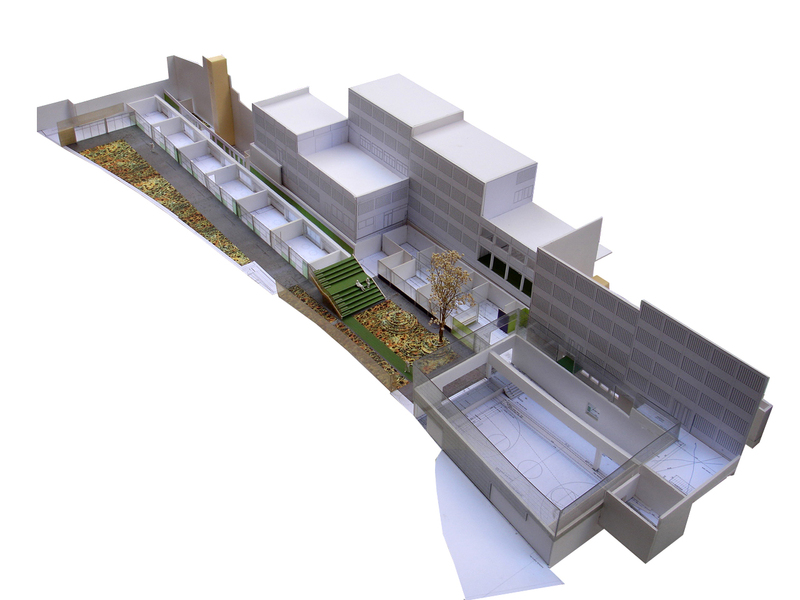 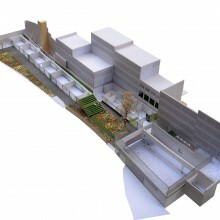 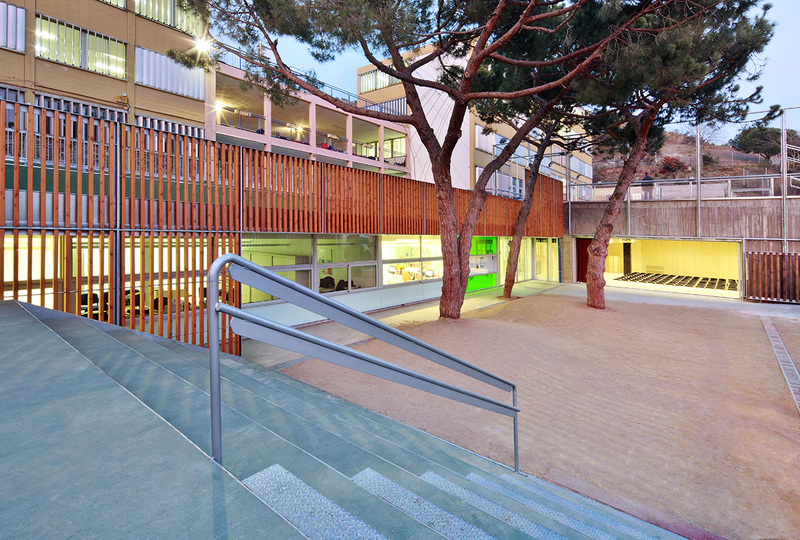 Around the courtyard and replacing the original terrace on which the school is situated, we have constructed a new, partially-sunk administrative space (reception and welcome area) that connects to the old building at street level via elevator. 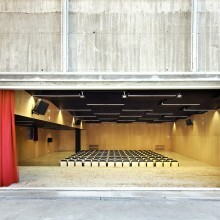 To the east is a multi-purpose sports hall (sports and entertainment) with a rood that functions as a basketball court. 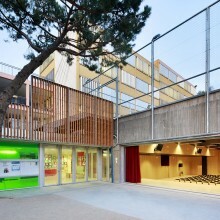 This layout is closed to the west with a staircase that creates a meeting area, an exterior public space covered by three pines, connecting with the stage of the multipurpose room via a large sliding door. 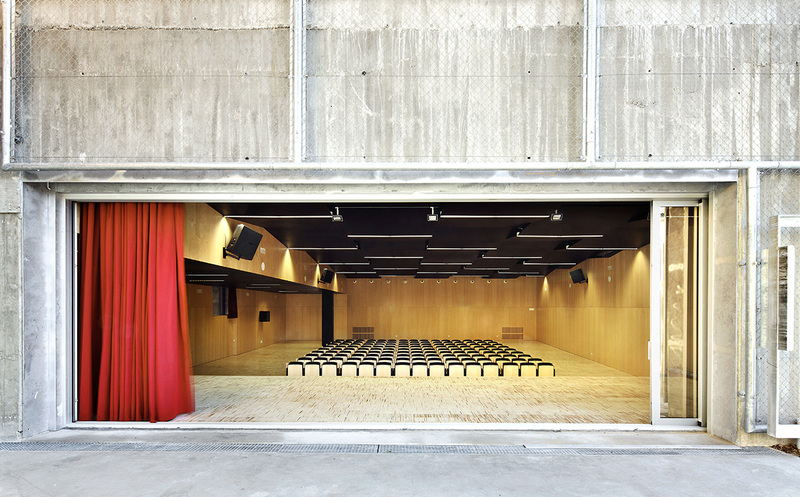 With these spaces linked, the stage can swing to serve the interior or exterior. 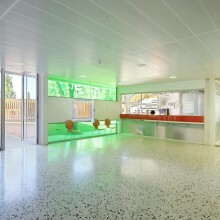 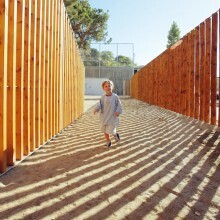 The result is a new reception area where parents and children can wait, play, and watch performances. 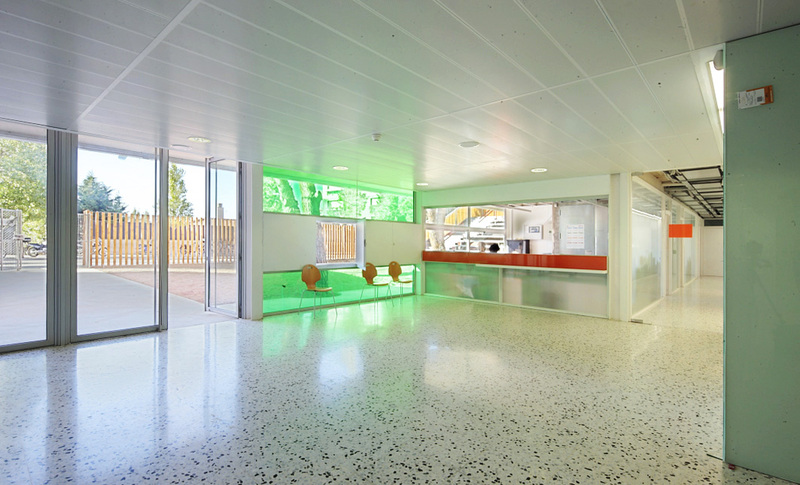 The space is not bounded by walls but continues into the building, giving a greater depth especially in the evening with the illuminated office inside. 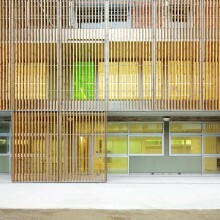 The building has an “A” energy rating. 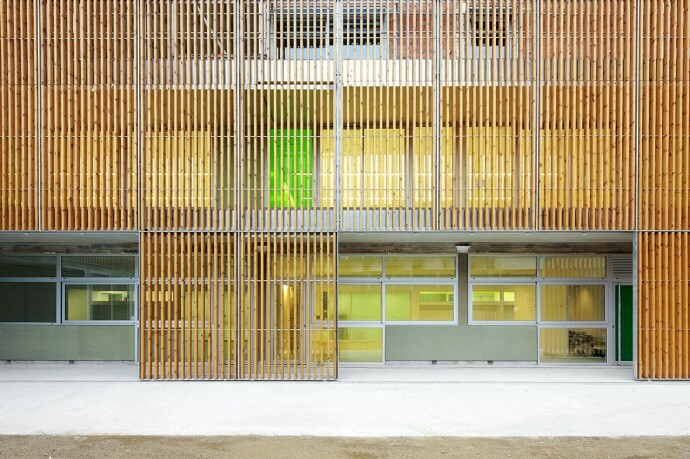 Consultants: Bis arquitectes (estructures), AJ Enginyers (instal·lacions), Jordi Carbonell (pressupost), ADS (certif. 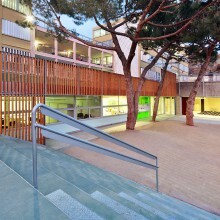 energètic), STATIC (carrer). 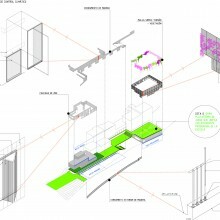 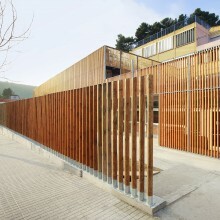 Collaborators: Marta Velez, Gonzalo Cantos, Irene Gil, Carlos Carnicer, Gaietà Mestieri Narcís Font. 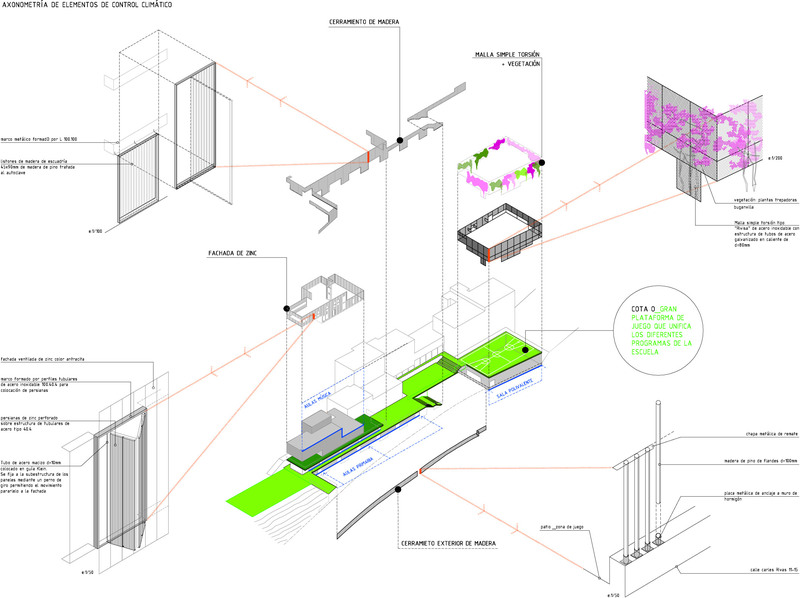 Area: 2.855 m2 escola, 1.007 m2 pàrking, 3.862 m2 Total.